The Humane Society of Lebanon County is an open-admission shelter. However, we are the only shelter within Lebanon County. If you must surrender your pet, you may do so during normal business hours. It is preferred to call ahead first to ensure cage space is available. You will be required to provide a photo ID and must agree to and sign the HSLC’s Surrender Policy. All animals surrendered to the HSLC become the immediate property of the HSLC. While every effort is made to find every animal a permanent adoptive home, that cannot be guaranteed. To offer your pet the best chance of being adopted into a new home, we will ask you to fill out a behavior questionnaire for the animal being surrendered. If you have any of your pet’s previous vet records or medical history, we ask that you bring these as well when you surrender your pet to the shelter. These records will help us better care for your pet while at the Humane Society. 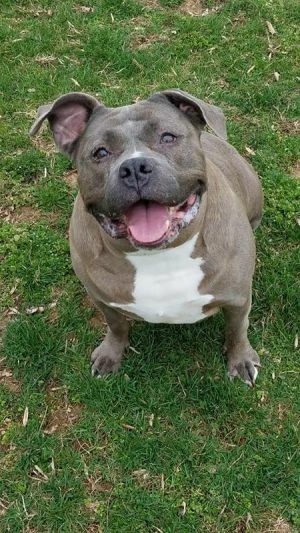 Please note that while the Humane Society of Lebanon County does everything it can to aid all pet owners and pets that come through our doors, we are a very small shelter with limited space available. While we always want to help any animal in need of rehoming, we may not always have available cage space to take in owner surrenders. The shelter gives preference to stray and homeless animals who are brought into the shelter and who have no where else to go. Due to our limited capacity, we ask that you call ahead if you need to surrender your pet. Our staff will let you know if there is currently available cage space for owner surrenders, or will advise you to wait a few days and try us again to see if a cage has become available. Cage space fluctuates daily due to adoptions and strays being brought in. We ask you to be patient with the shelter as we try to help all of the animals in need in our community. Cats and Dogs: $25 per animal or $50 for litters. Small Mammals (rabbits, ferrets, chinchillas, guinea pigs, reptiles, birds, etc): $25 per animal. Rats, Mice, and Hamsters: $25 per animal. The cost of caring for one animal at the HSLC is nearly $100. The HSLC houses thousands of animals each year, many of which are surrendered by their owners. The required fee helps to offset the expense of caring for your surrendered animal.